A dad gains super robot powers. 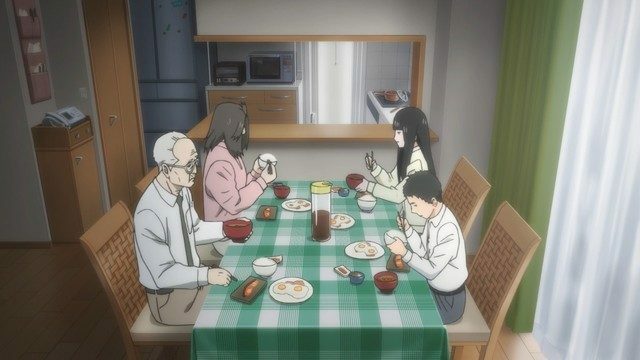 I can’t really say anything concrete that’s “bad” about this show. I just didn’t enjoy it. At all. I’m not sure why. I suspect it’s because I don’t care what happens to the characters. The kid is a sociopath, and the dad is just sort of vaguely boring. The show doesn’t even command enough emotion for me to even dislike it. I just. Don’t. Care. It took a good deal of willpower to even finish it. I suspect others might enjoy it. It reminds me of Parasyte, which I wasn’t a huge fan of either. Both have unlikely people suddenly granted strange powers turning into unlikely heroes who face extreme levels of carnage and body horror. 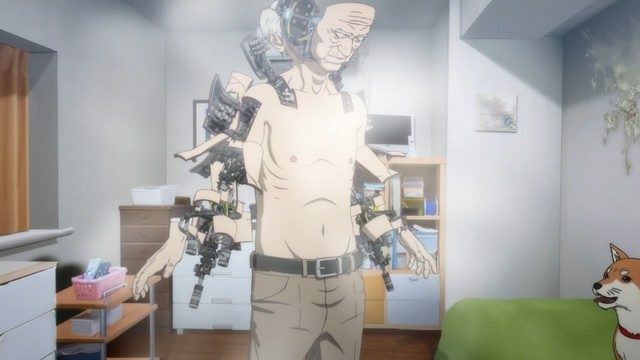 So if you like that, go ahead, you’ll probably enjoy Inuyashiki. I just find it a bit gross. Or I would, if I were able to summon up enough feelings for the show that I could actually care. Storytelling – D – Couldn’t keep my interest. Voice – B – It’s an interesting setup. Characters – D – Couldn’t bring myself to care. Attention Grab – F – Did not work for me.